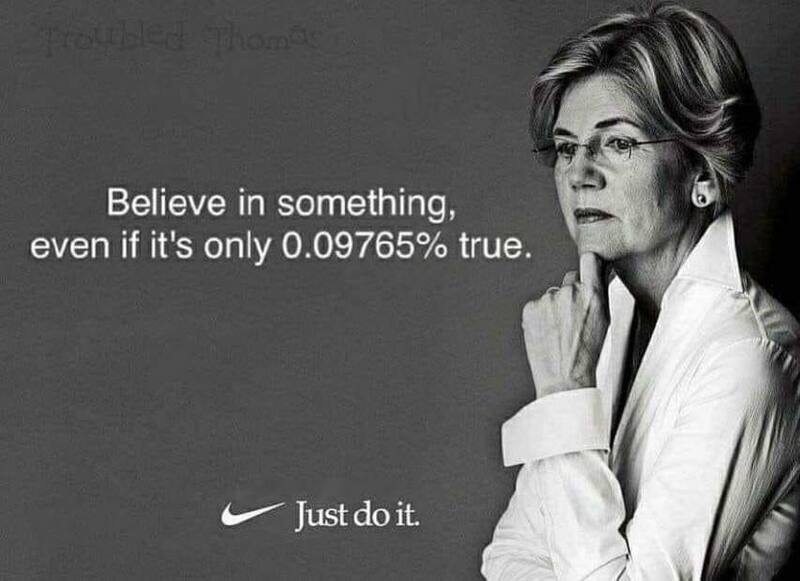 I don't mind her claiming her American Indian heritage. Lots of people do. Lots of people exaggerate in so doing. Warren got real, tangible career benefits by claiming to be an American Indian, though. That's completely unacceptable in my book, and ought to disqualify her from getting anyone's vote. I’m Indian and Irish. Both subservient classes. Doesn’t make any difference to me. You are what you make of yourself. Warren infuriates me. She took scholarships from the rightful recipients. I remember my great grandmother with hair to the floor. Full Indian. I would never consider taking a scholarship from someone more deserving. This person is wrong on many levels. I don't know all of the facts but if she ever labeled herself as a minority for any application she had intent to do so for an advantage. Her advisors failed her yesterday by running a victory lap for something that clearly didn't prove anything except her ignorance. The last thing she expected was the Cherokee Nation to step in and take offense to her claim. She is no different than that Rachel Dolezal who committed fraud for personal gain. How about using her claim to get minority scholarships for college?